Looking to replace my 2009 Saturn Outlook, Interested in Acura MDX, Infinity QX 60 and just checked out the new model Mazda CX-9 (2016 model). I like all three but I am a bit concerned that all of them are much smaller than my Saturn Outlook. I like the conceot of the Mazda with the 4-cylinder turbo and the lower pricepoint. Main concern at this point is that I will not be able to fit as much stuff in any of these 3 cars as compared to my Outlook. I personally don't like the Pilot or Highlander, that are a little to bland IMHO. 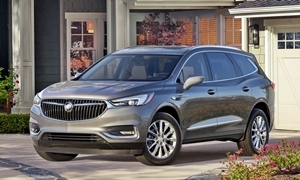 Chevrolet, GMC (being replaced by smaller model MY17), and Buick are still making the latest version of the Saturn Outlook. If you want the same space, and were happy with the Outlook, those could work for you. Thanks for your response. I have heard about the new Acadia being smaller, but honestly I was not too happy with my Outlook, too many little problems ( and transmission needed to be replaced at 105,000). Luckily most of the issues i had were under warranty (not bumper to bumper but GM) or cheap to fix. Even the transmission was covered because GM had to admit that there were issues with the wave rotor. Do you need to be able to fit luggage without folding even half of the third row? 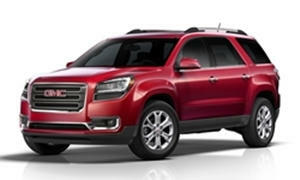 If so, the only crossovers that might work are the Ford Explorer, Ford Flex, and Honda Pilot, as these have a deep well behind the third row (beneath a removable floor in the Honda). In my experience (family of five that packs prettly lightly) other crossovers have too little space behind the third row. 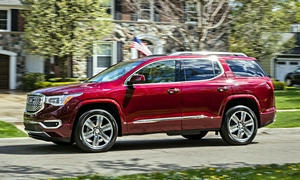 Among those without a well, the large GM crossovers have significantly more cargo volume than others, including those you mention. You're not going to want to hear this, but when it comes to fitting people AND their stuff minivans are far superior to any crossover. 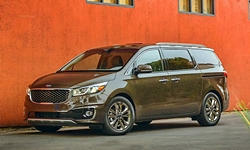 The Kia Sedona is designed to make you almost forget you are driving a minivan. 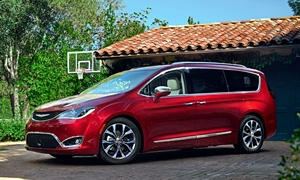 The new Chrysler Pacifica is also very nice. Unfortunately, reliability is a big question mark for both, as we have no data on either (the Pacifica is too new). 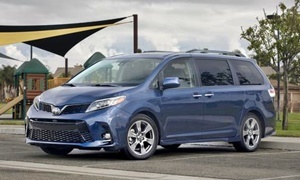 Toyota offers the Sienna in a sporty SE form. Some people say it then rides too firmly, but I haven't driven a Sienna SE so I cannot comment on this. We own a Ford Taurus X, with a well like the other Fords. 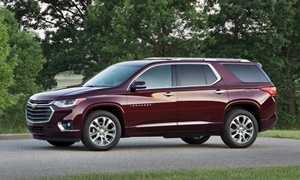 But if today's minivans had been available at the time I likely would have bought one of them instead. Scratch off the MDX. 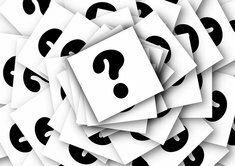 It is build on the Pilot platform, but its design is a bit on the smaller side so that could be a big question mark. I have never driven the QX60 but we have a fully loaded Pathfinder, which is the same chassis. The size is perfect and we love it, this coming from a 2013 Highlander that was traded in for a 2014 Pilot. 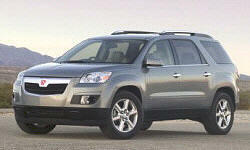 Long live the best selling 3-row crossover platform of all time! The Lambda serving Saturn until it ended, Traverse, Enclave, and Acadia.